An Incautious Man | What Would The Founders Think? The Founders, however admirable, were people with faults and foibles. This might seem obvious, but for many biographers who devote years studying their subjects, it's easy to engage in hero worship without realizing it. Though she is not guilty of this, as a reader it would be easy to do that when one reads Melanie Randolph Miller's crisp biography of Gouverneur Morris. The Founders, however admirable, were people with faults and foibles. This might seem obvious, but for many biographers who devote years studying their subjects, it’s easy to engage in hero worship without realizing it. This is one reason why it is important to read multiple perspectives to get the fullest picture the lens of history will permit. Nevertheless, most of us in the present day don’t err on this side, but are sadly myopic and do not give sufficient credit to those to whom we owe so much. The frustration resulting from the recognition of this fact no doubt contributes to the temptation toward hagiography. Candidly speaking, when this reviewer makes the inevitable comparisons that arise between the statesmen of the past and political elite of today, he must admit that at times he is prone to that same tendency (such is his abhorrence for today’s corrupt politicians). Leaving present day comparisons aside, and back to the original point, the Founders weren’t demigods. The more these people recognized this in themselves and sought to get past their weaknesses, the more interesting they are. But, self-awareness alone did not make them likable. One cannot help but wonder what these people were like as human beings. Many of the Founders appear “larger than life” when one considers the scope and magnitude of their accomplishments. Gouverneur Morris is no exception. However, he is also a very appealing subject. Although it’s not inconceivable that this reviewer might be falling victim to the riveting narrative Melanie Randolph Miller has weaved in her short biography. Nonetheless, I think I would have really liked Gouverneur Morris. I can’t say the same about all the Founders. Take George Washington, for instance. Admiration, awe, and gratitude are all fitting words, but I can’t imagine wanting to hang out with George – or him wanting to do so with me. And Jefferson, well .. he is definitely not this amateur historian’s favorite. 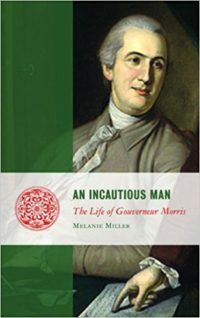 Gouverneur Morris, on the other hand, according to numerous anecdotes in Miller’s books (and others), was a man with a sense of humor and fun. However, he was also a man of integrity and consistency. And he was nobody’s fool. Morris could write with great eloquence and beauty. He was exceptionally funny, loved to laugh, and his humor runs like quicksilver throughout his diaries, letters, speeches, and the few surviving first-hand accounts of Morris in action. Washington also knew that Morris was no idealist, that his reports on any subject were not colored with romanticism but rather showed real understanding. … set to work to obtain armaments and shore up defenses while the British were evacuating Manhattan. The evacuation involved the departure of the remaining British garrison to a warship in the harbor. Many patriots assumed they were on their way to help subdue Boston and therefore demanded that their supplies be forcibly appropriated. Morris disagreed. War had not yet been declared, and he feared that snatching British arms or abusing British troops, could lead to an explosion in the city not yet prepared for war. Morris persuaded the provincial Congress to issue orders against any interference with the departure of the British, and to a large extent these measures were obeyed. Like Washington, Adams, Hamilton, and many others, Morris was a reluctant revolutionary. Nonetheless, he was wholeheartedly committed to the cause, while at the same time well aware of the precipice upon which the colonists stood. The British miscalculated the colonists’ resolve and sought to crush the rebellion outright, rather than address its causes. But British actions did not prevent men like Washington and Morris from insisting on operating from a consistent set of principles. Among these was a steadfast adherence to civilian governance and respect for private property and the rule of law. The mob was an anathema to these men. Even in 1775, at the age of 23, Morris knew the danger of mob mentality. Years later, he would witness the actions of the uncontrolled mob in France first-hand. … that a functional revolutionary government was clearly possible. He did not speak merely of New York, however. His vision was wider and it was prophetic. Indeed, for a 24-year-old who had only joined the revolt a year earlier, it was extraordinary. Morris foresaw a single national Congress, elected by small districts, with three year term limits; the elimination of boundaries between the colonies; and the prosperity of a new America that would be “an Asylum from Oppression” to all those who came there. It was just a few days later that New York’s fourth provincial congress agreed without dissent, to authorize its delegates to the Continental Congress to vote to ratify the Declaration of Independence. In 1778, Morris wrote an extraordinary document entitled: Proposal to Congress Concerning the Management of the Government. 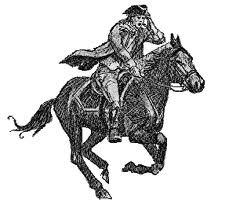 In it, he outlined a path out of the morass the country was in under the Articles of Confederation. Miller quotes another Morris biographer, Max Mintz’s assessment of Morris’s intellect. The striking feature of this paper was not only that it constituted a comprehensive design by a young man of twenty-six to promote essentially a centralized government — a plan ten years ahead of its time — but also that its author single-handedly managed to carry all its provisions to the floor of Congress for consideration. Morris was also an early advocate for the fabian strategy that would ultimately allow the Americans to prevail. 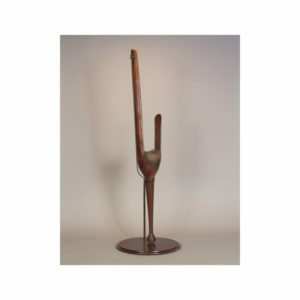 While he did not dwell on his handicap, he made light of it, telling people who asked how he lost his leg that he’d broken it leaping from the window of a married woman, to escape detection by her returning husband. 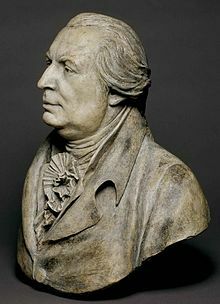 In 1787 Morris was chosen as one of the seven delegates Pennsylvania sent to the Constitutional Convention. Another Morris, Robert, had sufficient political clout to get Gouverneur chosen, despite his being a New Yorker. The vote on his selection was taken when Gouverneur was out of town, and he reluctantly accepted, knowing the importance. It was a lucky thing for his country. Morris would prove one of the most powerful speakers at the Convention. Some historians judge that he had more influence on the Constitution than any other than James Madison and James Wilson. His coruscating facility with language kept him on his feet — he spoke 173 times, more than any other delegate — constantly suggesting, debating, challenging, and when it came to the written results, burnishing the document that was wrung out of the fifty-five delegates who came to Philadelphia during that miserably hot summer. … though he might take sides for the sake of deepening the debate of each element, his fundamental convictions and ideas and how to achieve them were consistent and had been since the days of drafting the New York constitution. Morris’s influence was most strongly felt in the design of the Senate as a legislative branch equal in power to the House of Representatives, in the creation of a strong executive, and in the related issues of westward expansion and slavery. One can see in Morris’s view on property his concern about popular elections. His skeptical views on human nature were shared by Madison. His pragmatic insistence on that skepticism as a guiding rule for him was the essential tool that would allow imperfect humans to achieve a workable and achievable republic with the greatest good to the many. Thus Morris sought to balance the propertied by giving them their own house – the Senate, against those in the House without property requirements. For this reason, he opposed the “Great Compromise” which leveled the playing field between the houses. He had long learned not to the dupe of words. The sound of Aristocracy therefore had no effect on him. It was the thing, not the name, to which he was opposed, and one of his principal objections to the Constitution as it now before us, is that it threatens this Country with an Aristocracy. The aristocracy will grow out of the House of Representatives. Give the votes to people who have not property, and they will sell them to the rich who will be able to buy them. Though Morris was unsuccessful in his opposition to the Senate, he did prevail in making one significant change … senators would vote singly, not as a block, from each state. In this way they could be free to promote national, rather than local interests. Perhaps most significant, it was Morris that was chosen to pen the final draft. Madison, sometimes referred to as the father of the Constitution, acknowledged Morris as the source of document’s style and arrangement. But 25 years later, Morris was still clear-eyed about the limitations of government, no matter how good the structure. But, after all, what does it signify, that men should have a written Constitution, containing unequivocal provisions and limitations? The legislative lion will not be entangled in the meshes of the logical net. The legislature will always make the power which it wishes to exercise, unless it be so organized as to contain within itself the sufficient check Attempts to restrain it from outrage to by other means will only render it more outrageous. The idea of binding legislators by oaths is puerile. … contain such powerful imprints of Morris’s effervescent personality, his curiosity about people and enjoyment of their company, his observations on America and Europe and politics and love and power and cruelty and misery, that it is difficult to believe that he wrote them more than two hundred years ago. They are a national treasure. … his Writings on finance team with that Sort of Sensibility which makes the Fortune of Modern Romances, and which is exactly suited to this lively Nation, who love to read but hate to think. Morris’s observations on Jefferson are also telling. There is much more to tell and much to learn from this man and this biography. Unfortunately, this review only covers about half of Miller’s biography. Her description of Morris’s time in France is incredibly moving. She shows Morris’s character in describing his actions and in his observations to The Reign of Terror. Morris stayed in France and considerable personal risk until 1793, and witnessed first-hand, what set the American experiment in liberty apart from that of France. His words on the French Constitution should serve as a caution to America’s would be nation builders. [The French] want an American Constitution with the Exception of a King instead of a President, without reflecting that they have not American Citizens to support that Constitution. I enjoyed this review on Gouverneur Morris and will order the book and read it. I just finished reading The Genius of the People, by Charles L. Mee Jr. It was a good read and the author detailed Gouverneur Morris’ part in the convention. I thought about George Washington sitting there all that time listening to the debates and then having the job of implementing the ideas as President. Do you know of a book that details how he put the Presidency into practice? I have read Chernow’s book a while back and don’t remember how detailed that part of the book was. I am glad you posted on Morris. The book by Melanie Randolph Miller promises to be a good read. I appreciate the introduction. Hi Quinn. So nice to hear from you. There are a lot books about the precedents that George Washington set. I am reading “A Sovereign People” right now, and it provides many insights how Washington handled difficult domestic issues like the Whiskey Rebellion as well as foreign attempts at meddling with the US (Citizen Genet). I can also recommend Connor Cruise O’Brien’s First in Peace: How George Washington Set the Course for America. I reviewed it here. Thank you for the book recommendations. It looks as if they will speak to what it is I’d like to know. I ordered First in Peace. . . Looking forward to reading it. Your recommendations are much appreciated!